IN STOCK NOW! NO RESTOCKS! This collection, by the Australian indie brand Femme Fatale Cosmetics, is inspired by the 1999 American black comedy film "Jawbreaker". It tells the tale of an exclusive clique of teenage socialites that accidentally murder their best friend in the morning on her birthday. Sophie, the creator of Femme Fatale, says this was one of her favorite movies when she was a teenager. This collection is primarily tied to the bright and funky fashion-décor aesthetic from the movie – except for Sweet Sugary Death which is specifically designed to resemble a classic jawbreaker lollipop. See full color descriptions below for each shade. As always, free shipping for the US and Canada when your subtotal is $50+. 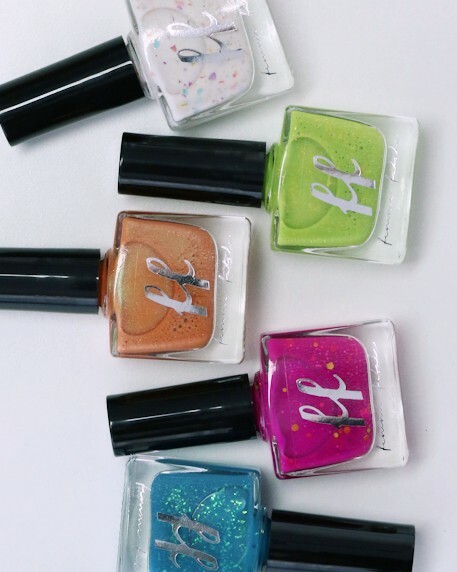 Femme Fatale Cosmetics is an Australia indie nail polish brand. Sophie Broadbent started it in 2011 and they are located in Brisbane Australia. 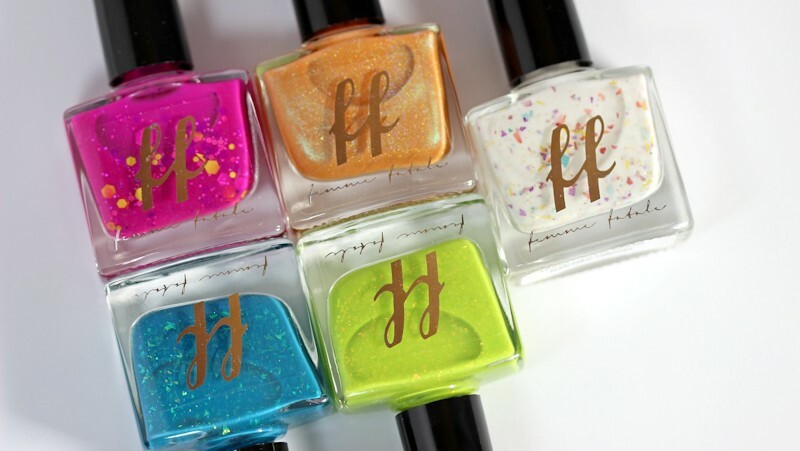 Femme Fatale nail polish is regarded as a top artisan nail lacquer brand all over the world. 'I Killed the Teen Dream' is a teal-blue crelly nail polish with green-blue shifting iridescent flakes. 'Sugary Sweet Death' is a creamy white nail polish filled with multicolored glitter shreds. A fun spring nail polish! This lime green crelly (leaning jelly) nail polish with red iridescent flakes is perfect for summer! Beautometry.com 2019 © Copyright. All right reserved.